Priced under $350K. Your new home is well cared for, updated, move in ready, additional parking for RV. 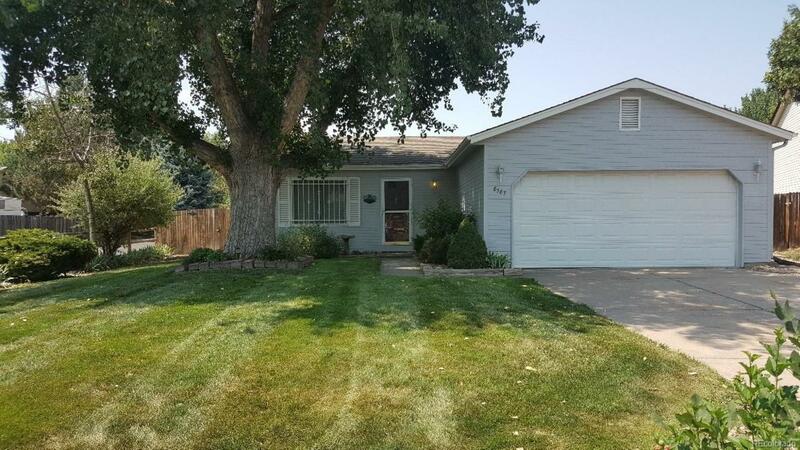 The yard has beautiful mature trees, green grass & fenced. New Paint & Carpet throughout the Living Room & Bedrooms. New Paint & Wood Laminate Kitchen & Bath Floors. New Kitchen Sink & Disposal. All Kitchen Appliances plus Washer & Dryer included. Inspection Ready. The seller has completed a 5 year Roof Cert, cleaned the Furnace & had the Sewer Scoped. The large basement bedroom has 2 egress windows so the room can be split into 2 bedrooms. There is space next to the washer & dryer to install a 2nd bathroom. Lots of living space between the main floor and basement with potential for 4 bedrooms & 2 bathrooms. Professionally Cleaned. TLC throughout. Walk across the street to the Cherry Creek Trail. Easy access to E470, King Sooper Marketplace, Bus, Light Rail. Offered by Homesmith Real Estate.